Who is Lisa Jane Smith? Lisa Jane is the author of Daughters of Darkness as well as many other books. These include, The Night of the Solstice, The Heart of Valor, The Secret Circle, The Vampire Diaries, The Forbidden Game, Dark Visions and the still unfinished Night World series. The Night World isn't a place. It's all aorund us. It's a secret society of vampires, werewolves, witches, and other creatures of darkness that live among us. They're beautiful and deadly and irresistible to humans. Your high school teacher could be one, and so could your boyfriend. The Night World laws say it's okay to hunt humans. It's okay to toy with their hearts, it's even okay to kill them. There are only two things you can't do with them. Never let them find out that the Night World exists. Never fall in love with one of them. 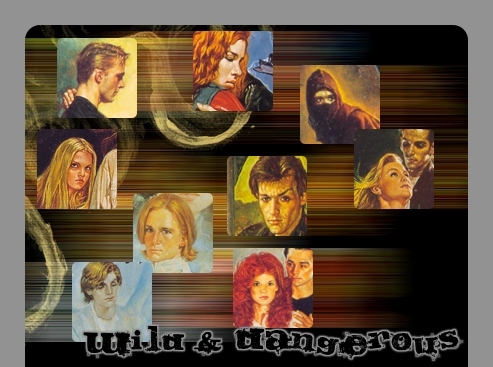 Wild & Dangerous is a fanlisting for all of the characters created by L.J. Smith for her Night World series. To learn more about the author and the characters, check out LJ-Smith.com.